If finding retirement income strategies feels impossible, it might be because it’s a whole new ballgame for you. Learn the new rules and you can hit the retirement income home run! We’ve spent our whole lives working, spending the money we earn and hopefully saving a little too. When we retire, everything we have ever experienced about managing our own finances gets turned upside down. We no longer earn as much or any money from work. We have to figure out how to make do with what we have.Instead of saving as much as possible, the new objective is creating predictable retirement income out of what we have. It is like we have been playing one game for the last 40 or 50 years and when we retire, ALL the rules change. To help you learn how to play this new retirement income game, we polled retirement experts. 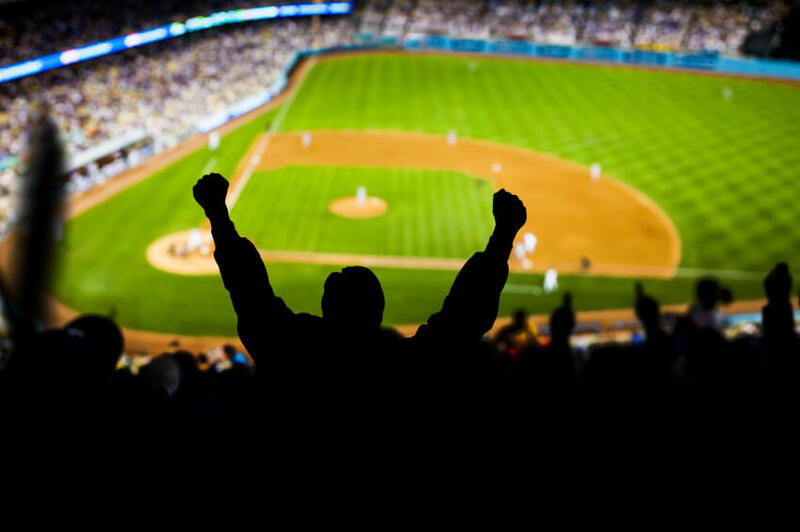 Here are 10 retirement income strategies, rules and tips… Play Ball! Retirement experts advise expanding the income/drawdown plan through old­ fashioned strategic organization. Two to five years of income would be in cash or cash equivalents. While a second bucket might be 20­-50 percent equity and be in an income bucket for income in years five through ten. Bucket three can be more heavily invested in stocks as the retiree won’t have to touch that bucket for at least 10 years. “We simply figure out the basic needs or the must haves, and calculate how much is needed on a monthly basis,” she offers. Of course, it is important to remember that your needs and wants will evolve throughout your retirement. Explore the different phases of retirement and how they impact your spending. Paul Ruedi, president of Ruedi Wealth Management, Inc., in Champaign, Illinois, has been running retirement planning simulation models for 20 years. What retirement income strategies does he think work best for retirees? The best withdrawal strategy is a flexible strategy, and one that is built with “guardrails”, he says. “Start out with a balanced portfolio (60/40) with an initial withdrawal rate of around 5 percent,” he explains. “If that figure is more than 20 percent higher than your initial rate (5 percent in this case), then reduce your withdrawal by 10 percent,” Ruedi advises. “For example, if you start at 5 percent, once the withdrawal rate is above 6 percent, reduce spending by 10 percent,” he says. “Correspondingly, if your withdrawal rate is 20 percent lower than your initial rate of 5 percent, increase spending from your portfolio by 10 percent,” concludes Ruedi. “If you are concerned about unpredictability, then a lifetime annuity with inflation protection and spousal support is the way to go,” says Brock. And, you can now get pretty sophisticated with annuities. “In years past, the alternative to riding out a bumpy stock market while trying to create a steady retirement income was to take the money out of the market and put it into an immediate annuity,” notes Sean Clark, principal with York Independents, in York, Pennsylvania. Clarke says there is a different method available for middle class investors today, and is a solution that he uses with great frequency. “The solution is an equity­ indexed annuity with a lifetime income benefit rider,” he explains. Use an annuity calculator to see how much income you can afford. Or, find out if an annuity is right for you. To achieve certainty without purchasing an annuity, you might want to discuss your needs with a trusted financial advisor. “Have your financial advisor create a draw­ down strategy specific for your own particular risk tolerance and needs,” advises Timothy Shanahan, president and chief strategist at Compass Capital Corporation, in Braintree, Massachusetts. Tailor your retirement income strategies to how much risk you can take and how much income you need. If you wait to start Social Security until your maximum retirement age, then you will have a significantly higher monthly retirement income than if you start at age 62. Delaying the start of your Social Security is simply one of the best ways to boost your lifetime retirement income. Use a break even Social Security calculator to help you figure out the optimum time for you to start this benefit. Stocks, bonds, annuities and real estate are not the only ways to generate retirement income from your savings. Many retirees are getting creative and are investing their money in small businesses that can provide a long lasting income. We have heard of people investing their savings in a small inn in the country and others who have bought a taco shack on the beach. There are lots of opportunities that could throw off just enough income to keep you going. Best of all, the business will keep you active and engaged as you age. Of course, these types of ventures can be risky and you should know something about running the type of business you invest in. Also think about your plan if your health deteriorates. Financial gurus also say there’s nothing quite like the classics when you’re trying to build up, and preserve, income in retirement. “The reality is that retirement investing should be treated the same as any other kind of investing: your goal is to achieve the highest return with the least risk of loss,” says Lee Tobey, fund manager at Hedgewise, Inc.
“Prioritizing dividends and interest at the expense of total return doesn’t make sense when you look at the facts,” he says. Your home is likely your most valuable asset, not your retirement savings. And, there are actually numerous ways to turn your home equity into retirement income. If you get a reverse mortgage, then you can actually take your money in the form of a lifetime annuity. So, you get to stay in your home for as long as you life, but the home also provides a reliable income stream. A reverse mortgage isn’t for everyone – check if it’s suitable first. You can downsize, cash out some of your home equity and utilize some of the retirement income strategies in this article to create predictable income. It might even be possible for you to rent out part of your home and generate income that way. One of the best — and easiest — steps you can take to figuring out retirement income is to create a detailed retirement plan. Assess what you have, figure out exactly what you need, look at the details that might sabotage your finances and then create a retirement income plan tailored to meet the demands of your future. You probably have significant retirement income from Social Security, the trick is to figuring out how much more you might be spending every month and figuring out a reliable income plan for that difference. A simple five question retirement calculator won’t do this for you, but there are some sophisticated tools available online. Ready to create your detailed retirement plan?